The Assignment: make music using a free software synth assembled by Scanner. Deadline: This project’s deadline is Monday, April 22, 2019, at 11:59pm (that is, just before midnight) wherever you are. It was posted in the morning, California time, on Thursday, April 18, 2019. Here is some background on Scanner’s thought process in the development of this system: I think it would be interesting to present a limited package of blocks they can use, and to not use a traditional sequencer. Instead, people would consider how an LFO or modulation can move a sound or series of sounds around. (In some sense, this is a more West Coast than East Coast approach.) I’m concerned if we include the sequencer then it would suggest lots of decent pattern-oriented music wrapped around a similar theme or approach. This idea of such reductionism is basically about avoiding the obvious in these encounters and leaving the creator to think a little more than they might have to otherwise. It could perhaps be reduced further, but it’s enough to get people shaping sounds and creating shapes. Any less and it could potentially be too limiting and uninspiring. It’s truly a Bento Box Delight. I presume there’s a modest learning curve for some users, but there’s a guide that seems very clear on the NI website. Step 3: Create a piece of music using only the modules (one of each) as described in Step 2 above. 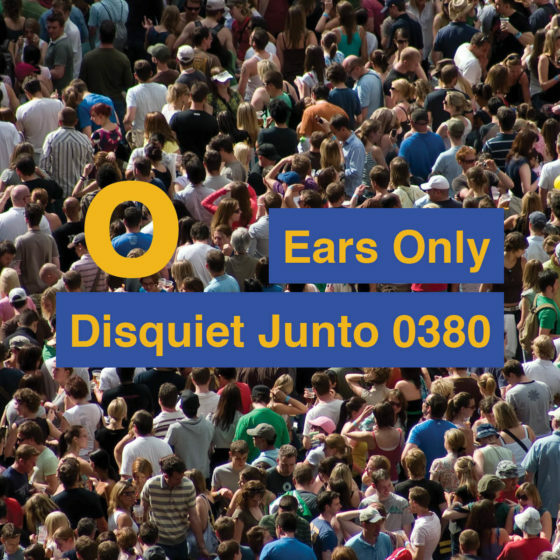 Step 1: Include “disquiet0381” (no spaces or quotation marks) in the name of your track. Step 2: If your audio-hosting platform allows for tags, be sure to also include the project tag “disquiet0381” (no spaces or quotation marks). If you’re posting on SoundCloud in particular, this is essential to subsequent location of tracks for the creation a project playlist. 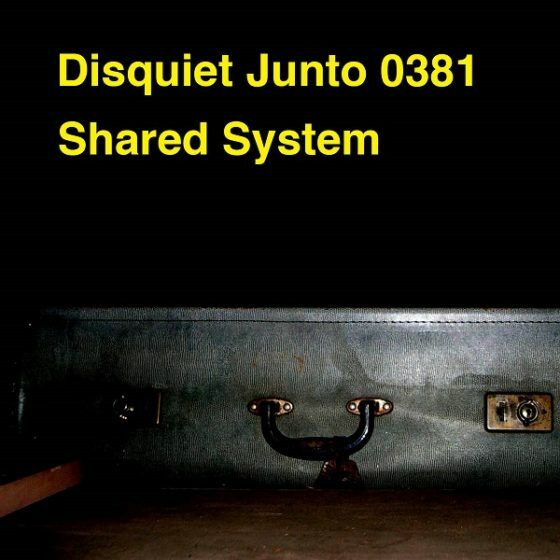 Title/Tag: When posting your track, please include “disquiet0381” in the title of the track, and where applicable (on SoundCloud, for example) as a tag. Just this past Monday, I had the great pleasure of being interviewed by Darwin Grosse for his excellent, longrunning podcast, Art + Music + Technology, and the episode went live today. For a sense of the scale of Grosse’s podcast, my entry in the interview series is number 271. I’ve enjoyed Grosse’s interviews for a long time. Past participants in the Art + Music + Technology podcast include frequent Nine Inch Nails collaborator Alessandro Cortini, creative technologist Cassie Tarakajian, Monome developer Brian Crabtree, synthesis researcher Curtis Roads, and keyboard legend Herbie Hancock. Grosse: Just to finish up, then, where do you think communities can go. Because it seems like you really enjoy being part of communities and being part of growth environments, right? And introducing people to things and stuff like that. It seems like in a way we’ve almost hit a point where we’re not sure how to grow beyond that. We’ve seen things that are massive, like Facebook, end up being … not feeling satisfying because it becomes either a place where you can be taken advantage of or a place that’s just plain too overwhelmed with people. Or we have places that are so small that they end up feeling insular. What do you think is the kind of community growth that can happen that provides an interesting next step? Weidenbaum: It’s an interesting question. One thing that comes to mind as I’m formulating a response is that when I look at music technology these days, one of the ways I gauge how entrenched it is or how promising it is, is by the quality of the conversation on the forum related to that hardware or software. It’s not always a direct relation because there are sometimes people who are very yappy about things that actually maybe don’t prove that effective, but by and large, I think there is some really interesting information to be culled when you’re considering buying a synthesizer module or considering buying a piece of software or some other piece of hardware, a stomp box or something. You can look at the conversation online, usually on the forum that’s from the website of the manufacturer of that software or hardware, and get a sense of the culture of that content. I think the issue there, for me, is that, as somebody who writes for a living, I think that writing can be highly overvalued. And I feel that one of the reasons the Junto exists as a model for this is that I feel that musicians communicate to each other through music primarily. And I feel that there’s an opportunity in communities for people to communicate in non-verbal ways. Instagram is a nice step in that direction, though a lot of the pleasure of Instagram is actually the captions for the image like, “Oh now I’ve seen this beautiful picture; where is it from or what’s the context?” But I feel like one of the things that I’m trying to do with the Junto and one thing I’d like to see more is that it isn’t just a bunch of people chatting about presets and how they use tools, but their actual participation in the community is somehow nonverbal, that through images and sound and code, they’re participating, which is why GitHub is a community but it’s often not considered alongside [others]. … People talk about these massive communities and GitHub rarely comes up in the list alongside Facebook and Reddit and all these other. It’s interesting because GitHub, to me is just as much a community as these others. You know, a pull request is a form of participation. You can hear (stream or, for free, download) the full, 45-minute podcast here: artmusictech.libsyn.com. Many thanks to Darwin for the invitation and the great conversation. The Assignment: Share a track, get feedback, and give feedback. Deadline: This project’s deadline is Monday, April 8, 2019, at 11:59pm (that is, just before midnight) wherever you are. It was posted in the morning, California time, on Thursday, April 4, 2019. Step 3: After uploading, be sure to listen to the work of other participants, and to post responses. 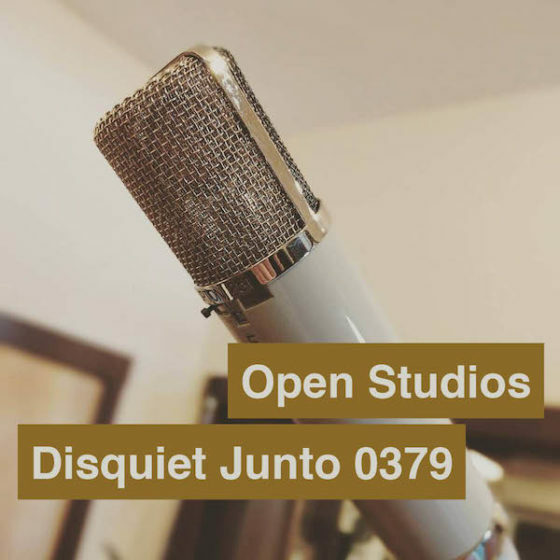 Step 1: Include “disquiet0379” (no spaces or quotation marks) in the name of your track. Step 2: If your audio-hosting platform allows for tags, be sure to also include the project tag “disquiet0379” (no spaces or quotation marks). If you’re posting on SoundCloud in particular, this is essential to subsequent location of tracks for the creation a project playlist. Title/Tag: When posting your track, please include “disquiet0379” in the title of the track, and where applicable (on SoundCloud, for example) as a tag. The Assignment: Experiment with the sonic qualities of a failing signal. Deadline: This project’s deadline is Monday, April 1, 2019, at 11:59pm (that is, just before midnight) wherever you are. It was posted in the afternoon, California time, on Thursday, March 28, 2019. Step 1: Find some sort of Bluetooth-enabled audio connection that is available to you. It might be headphones or microphone or other devices. The important thing is that audio can be sent to one device from another device by Bluetooth. Step 2: Experiment with a sound sent via Bluetooth using the connection decided upon in Step 1. Work to find situations in which Bluetooth begins to fail, where the sonic signature of that signal failure becomes apparent. This will likely be due to distance, but you may find other creative approaches to achieve the distortion. Step 3: Use the situation(s) located in Step 2 as the basis for an original piece of music, stressing an audio signal and then recording the way that signal distorts due to the failure of Bluetooth. 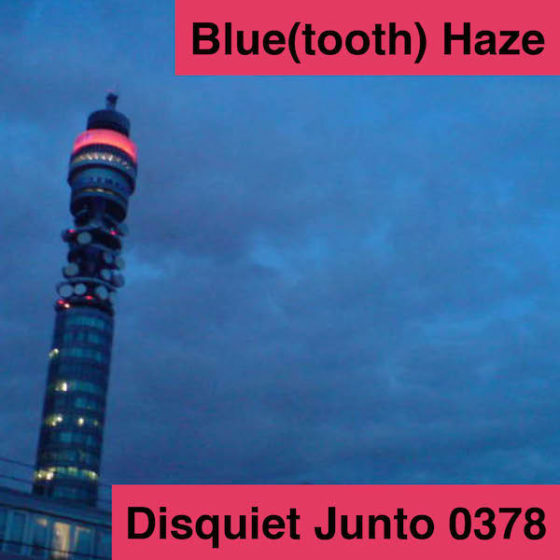 Step 1: Include “disquiet0378” (no spaces or quotation marks) in the name of your track. Step 2: If your audio-hosting platform allows for tags, be sure to also include the project tag “disquiet0378” (no spaces or quotation marks). If you’re posting on SoundCloud in particular, this is essential to subsequent location of tracks for the creation a project playlist. Title/Tag: When posting your track, please include “disquiet0378” in the title of the track, and where applicable (on SoundCloud, for example) as a tag.